Residents may never know exactly why Newport Police Chief Michael Capriglione was charged with official misconduct and tampering with evidence after crashing into a vehicle in the station’s parking lot last month. Capriglione, 62, turned himself in Thursday and was released without bail after being indicted earlier this week. Although he was the chief of police for four decades, his indictment was accompanied by no announcement to residents by town officials or law enforcement figures, who are also declining to provide specifics about the accusations. He was put on paid leave late last month, but Newport Town Hall never communicated that to residents. Mayor Michael Spencer said his guess is that no notification was necessary because it was an ongoing investigation. He said he intends to make a statement at the town council’s meeting later this month. “If it was (a normal resident) this was happening to, they would want some discretion exercised on the part of the town,” Spencer said, directing any additional questions to the town solicitor, who did not return a phone call seeking comment. 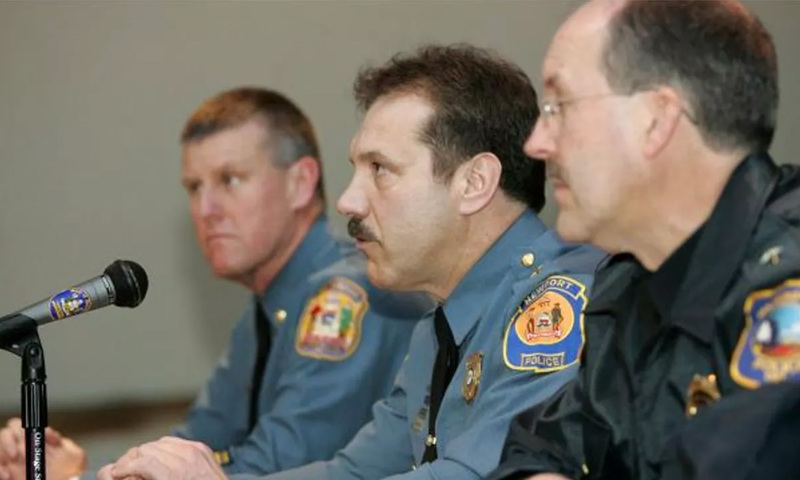 John Flaherty, a director for the Delaware Coalition for Open Government, said Capriglione is no normal resident given his long tenure as police chief, his station as longtime chair of the Delaware Police Chiefs’ Council and the fact he faced dropped assault charges as chief in the ’90s. Flaherty said shrouding of information about such a figure, even if it is benign, damages public trust. “We should have the information up front instead of going down to a long process because it comes down to the confidence in our law enforcement authorities,” Flaherty said.